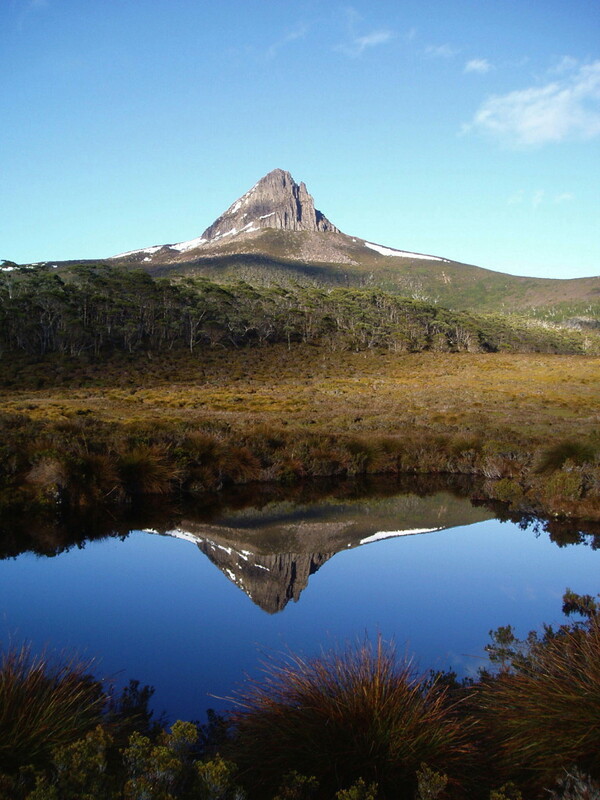 This stunning photo of Barn Bluff in central Tasmania was taken by my bushwalking friend, Jodi Griffiths. The photo captures the essence of tranquillity, another of biophilia’s gifts. The serene stillness of the scene matches perfectly the emotional colours of tranquillity. To experience tranquillity is to feel calm and peaceful and to be free of disagreeable sensations and thoughts. A tranquil mind is not busy or idle, neither is it preoccupied nor inattentive. It is a mind that is present in the moment but free to wander into its own inner world of thoughts, memories and feelings. Once in that world, our minds can attend to the memories, images, ideas, beliefs, assumptions, values and the like that are there. The process of thinking about such things is called reflection. Reflective thinking can be shallow, as in day-dreaming or reverie, where we are conscious only of our thoughts meandering about aimlessly. But it can also be purposeful, productive and therapeutic, especially when it follows pathways of self-reflection, self-discovery, creativity and problem solving. Often these pathways lead to new and helpful perspectives on problems, issues and possibilities in our lives. Reflective thinking, along with an awareness of beauty and feelings of serenity, makes tranquillity the distinctive and important experience that it is. As soon as beauty and serenity are registered in one region (the temporal lobe) of our brain, reflective thinking is triggered in the region that initiates reflection (in the prefrontal lobe). It seems that the quiet, peace and solitude of tranquillity signal to the brain that it is OK to ease off monitoring the external world and to spend time paying attention to itself. Other factors, including the time available, will determine how much reflection actually gets done and how “deep and meaningful” the reflection turns out to be. But tranquil sights and sounds set the scene, so to speak, by spurring the brain’s reflective thinking centre into action. As well as feeling good, tranquillity is good for us – by helping us to recover from mental fatigue and the effects of stress and, very importantly, by creating the physical and psychological space that supports reflective thinking. As the famous Roman statesman, Marcus Cicero, declared, “… a happy life consists in tranquillity of mind”. Cicero would have known that to expect a lifetime of unbroken tranquillity and happiness is unrealistic. But he was really making the point that seeking tranquillity needs to be part of everyone’s for happiness, tranquillity is a state worth seeking. Lifelong serenity may be an unattainable goal, but seeking regular “doses” of tranquillity to fortify ourselves for the hurly burly of modern life is a wise thing to do.